New trailer for the British crime thriller. 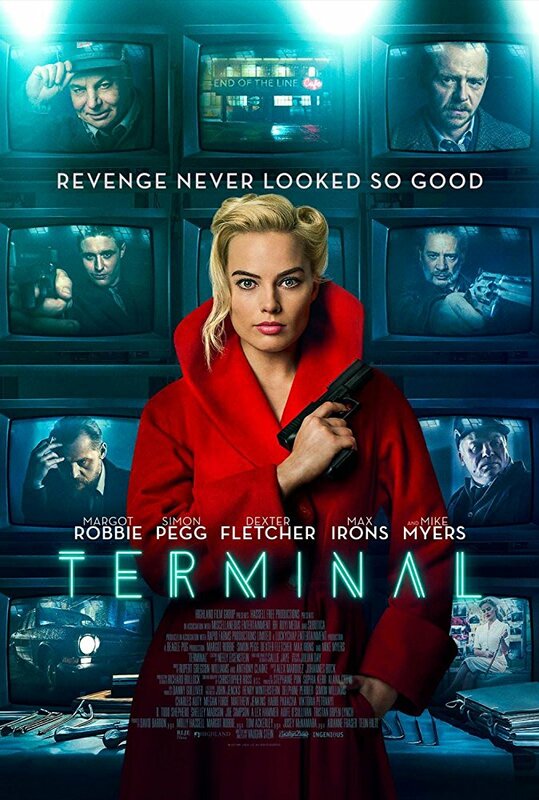 After essaying comic antagonist Harley Quinn and real life panto villain Tonya Harding, Margot Robbie continues her trend of playing bad girls in writer/director Vaughn Stein's feature debut Terminal. The film also stars Simon Pegg, Dexter Fletcher, Max Irons and Mike Myers in a British set neo-noir that sees a disparate group of individuals become pawns in the plot of a criminal mastermind. Terminal opens in US cinemas May 11th. A UK/ROI release has yet to be announced. This movie follows two assassins with a sinister mission, a fatally ill teacher, an enigmatic janitor, and a waitress with a double life. Murderous consequences unravel as their lives meet at the hands of a criminal mastermind wanting revenge.